Home BOLLYWOOD Adorable Alia Bhatt Tunes In The Rock On!! 2 Anthem!!! It is Alia Bhatt to be chanting the Rock On!! 2 anthem this time!! After Ranveer Singh‘s crazy rock dubsmash, Anil Kapoor‘s energetic rock video and Yuvraj Singh‘s heartfelt greeting video, it’s Alia Bhatt to send love to the Rock On!! 2 team before it’s release. The adorable Alia has very cutely sung the Rock On!! 2 anthem in the video. The actress came out with an immensely winsome innovative idea to greet her friend Shraddha and the team for the upcoming musical drama. 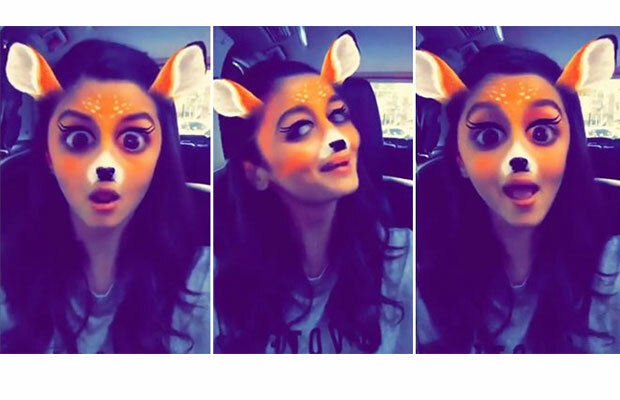 Alia‘s charming video has been receiving good attraction on social media. The actress posted the video on Instagram in the morning and has received a good amount of views in a very short span. The young actress has made an extremely cute approach for the countdown of the sequel. Rock On !! 2 has been receiving enormous response all over the country. This ones for you@shraddhakapoor!!!!! I hope I’m in sur haha!!! All the best team #RockOn2 for the big big day tom!!!! @faroutakhtar@ritesh_sid @rampal72 big hug to you all.. Am sure you guys will Rock and how ‘ for her upcoming musical drama. B-Town stars have been grooving on Rock On songs and are tremendously exhilarated for the movie. Rock On 2, the upcoming musical extravaganza features Farhan Akhtar, Shraddha Kapoor, Arjun Rampal, Prachi Desai, Purab Kohli, Shashank Arora and Shahana Goswami. Produced by Ritesh Sidhwani and Farhan Akhtar under the banner of Excel Entertainment presented by Eros International, Rock On!! 2 is directed by Shujaat Saudagar and is all set to release on 11th November 2016.. This ones for you @shraddhakapoor!!!!! I hope I’m in sur haha!!! All the best team #RockOn2 for the big big day tom!!!! @faroutakhtar @ritesh_sid @rampal72 big hug to you all.. Am sure you guys will Rock and how ? ?